By now such stories are dangerously familiar. Though they have not really been assimilated, they have been dismissed as part of our past. In Hiroshima, at least 66,000 people were incinerated in an instant, at least 30,000 three days later when we used a second bomb, codenamed "Fat Man" on Nagasaki. Exact casualty figures are impossible to state, because population records turned to ash along with the record-keepers, and radiation caused many deaths long after the actual explosions. Tadatoshi Akiba, a former math professor at Tufts, published an article in 1983 in which he calculated that 200,000 people had died as result of the bomb in Hiroshima by 1950, and another 140,000 in Nagasaki. Nearly all were civilians—only 150 Japanese military were killed. 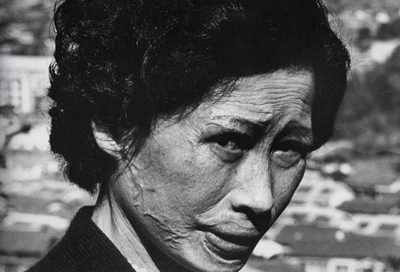 But the statistic that Americans might be most surprised to learn is that 226,598 officially certified survivors of the atomic bombings are still alive in Japan today. The average age of these witnesses, however, is now seventy-three. Most have been struggling with radiation-related illness for much of their lies, and death will surely have silenced the majority of them by the seventieth anniversary of the bombing in 2015.